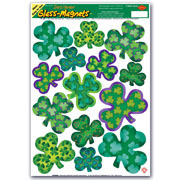 Use this Metallic Vinyl Cascade Shamrock Centerpiece at your next office party, home get-together, at school or church. 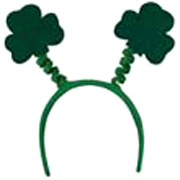 Use shamrock cascade centerpiece at your next St. Patrick’s Day party. This centerpiece has green metallic sprigs that shoot out from the center. 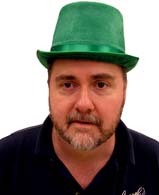 Gold metallic material alternates between the sprigs with a green shamrock on the end. 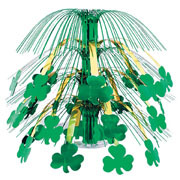 Beautify your table with this shamrock cascading centerpiece. This will draw attention to all the wonderful work you put in to making everything work together. 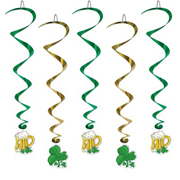 Use this Metallic Vinyl Cascade Shamrock Centerpiece at your next office party, home get-together, at school or church.